Since that time, Moscow has sought the full reinstatement of its delegation’s rights, as well as a change of the “discriminatory” regulations. In 2015, PACE reviewed the issue twice but eventually ended up imposing even harsher restrictions against the Russian delegation. 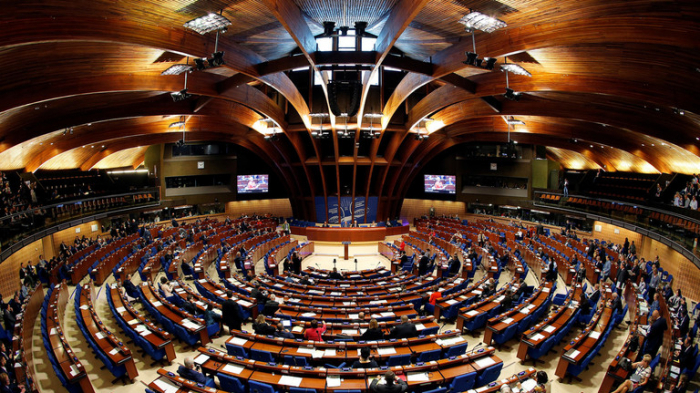 This development prompted Moscow to first cease its participation in the PACE sessions and, eventually, to stop paying its instalments to the Council of Europe back in 2017. The move sparked another row between Russia and the CE as Moscow had been one of the major contributors to the organization’s budget. In early 2019, the Russian State Duma and the Senate both passed resolutions, that Russia will not send a delegation to PACE nor would it pay its instalments to the CE this year, because of the continued discrimination. If a CE member state does not pay its fees for two years, it can be expelled from the organization. For Russia, this deadline expires on July 1. Moscow hinted a number of times that it might leave the international body of its own volition if the situation with its delegation’s rights does not change. Although Jagland lamented the fact that Russia has not paid its instalments to the organization’s budget, he still admitted that the treatment of the Russian delegation to PACE was unfair; he said that a nation could be stripped of its voting rights only if it decides to leave the Council of Europe or is excluded from it by decision of the CE’s ministerial committee. It’s a change from his October statements, that Russia should face additional sanctions if it does not resume its payments to the CE.